The Alan F. Wohlstetter Scholarship Fund (AFWSF) is the cornerstone of the International Association of Movers’ scholastic assistance initiative. Named for distinguished Association founder and General Counsel Emeritus Alan F. Wohlstetter, the fund benefits the employees of IAM member companies and their dependents, as well as students. Since its launch in 2002, the AFW Scholarship Fund has awarded more than 80 scholarships of US$5,000 each. Students receiving tuition assistance from the Alan F. Wohlstetter Scholarship Fund come from different countries, cultures, companies, and backgrounds but their commitment to learning and their goals for the future are surprisingly similar—acquiring leadership skills, advancing along their chosen career paths, managing a company, someday owning their own businesses. An award from the AFW Scholarship Fund can help them realize those goals. At the time of filing his or her application, the student must have completed 45 semester hours of study at a regionally accredited college or university and/or worked in the transportation industry for one year prior to applying. Scholarships are available for study in the USA and overseas. In addition to meeting other criteria, all applicants must submit a statement outlining their career intentions. Please review the eligibility chart to determine if you qualify. Funding for the scholarships comes almost exclusively from generous IAM members, who support the AFW Scholarship Fund through company sponsorships and individual contributions. Those interested in supporting the Fund may contact Debbie Passmore, chair of the AFWSF Fundraising Committee, at DPassmore@suddath.com. The opportunity to support the future of our industry, as well as the students who benefit from the scholarship. Your name/company name displayed prominently during the IAM Annual Convention. For a gift of $2500 or more, a reserved table for 10 at the IAM Annual Meeting Breakfast (table centrally located in the front of the ballroom). A potential tax deduction (consult your local tax professional). 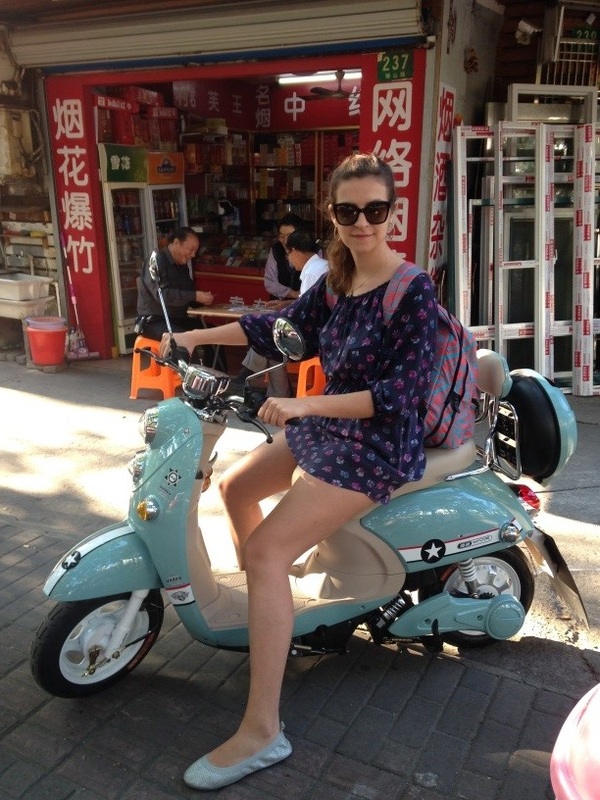 Alaina Feinberg, Certified Packaging & Transport Inc.
After having received Alan F. Wohlstetter Scholarship from IAM and allowance from M&TM Freight for a short leave, I packed my bags like a true logistics manager - myself - and left to Shanghai, China for my MBA studies at Ceibs. Alan F. WohlstetterScholarship gave me the opportunity and confidence to challenge my potential and grow in personal and professional ways. By learning accounting, economics, statistics, strategy, marketing, operations, finance, organizational behavior, etc., I am enriching my understanding of the consumer, and essential business concept of value, as well as sharpening techniques of effective management, communication, leadership and teamwork. Apart from this, I am intensively learning Chinese, exploring Shanghai by my scooter and actively participating in various extracurricular activities (including logistics association at Ceibs) to understand better the Chinese market, build guanxi and explore global innovative logistics solutions. I am also continuing my online work at M&TM Freight not to lose the pulse of the current state of affairs in our company and industry as a whole. Thank you very much IAM! In October 2014, Debbie Passmore (Suddath Government Services) became Chair of the AFWSF Fundraising Committee. Along with a dozen committee members, including Secretary/Treasurer Jackie Agner and President Heather Engel, Debbie will manage efforts throughout the year to raise awareness of the AFWSF mission, build relationships with potential donors, and organize fundraising events.